It’s unbelievable, but Musical.ly may soon be coming to an end. There have been many petitions and websites displaying the thought of permanently dismantling Musical.ly. There are many comments on these petitions shaming Musical.ly for its inappropriate nature, but others say it’s a harmless way to have fun with friends. 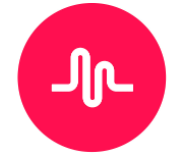 What are your thoughts on Musical.ly possibly ending?